I saw the video below on economicpolicyjournal.com, and it reminded that nobody writes more clearly about race and culture than Thomas Sowell. His book, The Economics and Politics of Race, was written in 1983. I read this book after I had read Race And Culture, Migration and Culture, and Conquests and Cultures, which make up his three book cultural trilogy which was written in 94, 96, and 98 respectively. As much as I liked the cultural trilogy, I think I liked The Economics and Politics Of Race better, although the fact that I read the other books first may have had something to do with it. What I took away from the book is that some cultures are superior to other cultures, in specific areas, at specific times in history. And even though past cultural tendencies seem to follow and influence ethnic groups over time, superiority and inferiority are always subject to change. Here are some excerpts from the book. 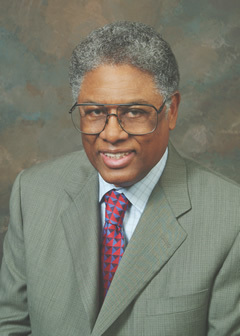 In this video Thomas Sowell discusses his book, The Economics and Politics Of Race, on the TV show, Tony Brown’s Journal. THOMAS SOWELL QUOTE – “Each group tends to trail the long shadow of its own cultural history as well as reflecting the consequences of external influences”. This entry was posted on December 22, 2014 at 1:16 am and is filed under Miscellaneous. You can subscribe via RSS 2.0 feed to this post's comments.